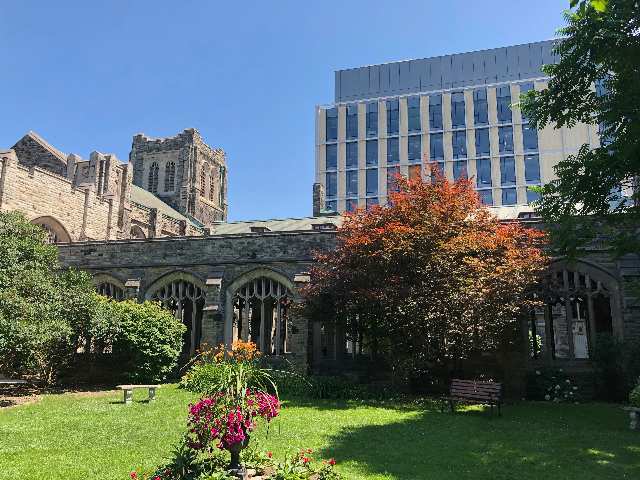 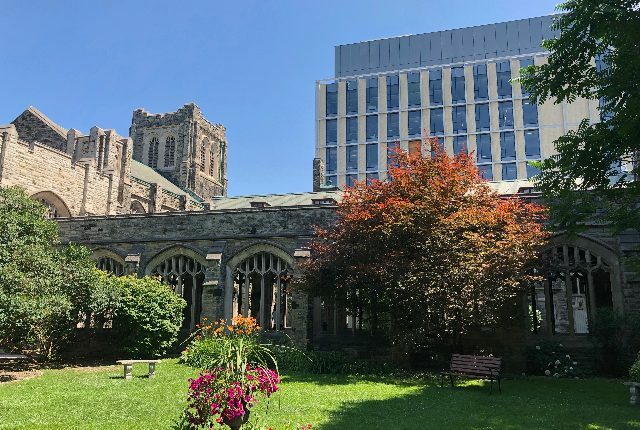 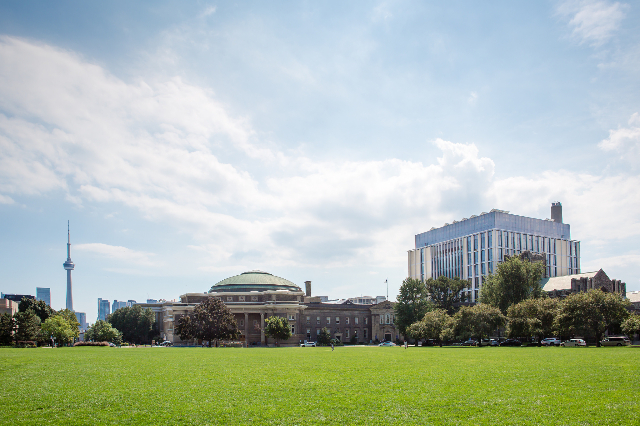 Ten years ago, the Faculty of Applied Science and Engineering at the University of Toronto recognized a pressing need to construct a new facility that would foster research excellence and support the potential of its growing students and staff. 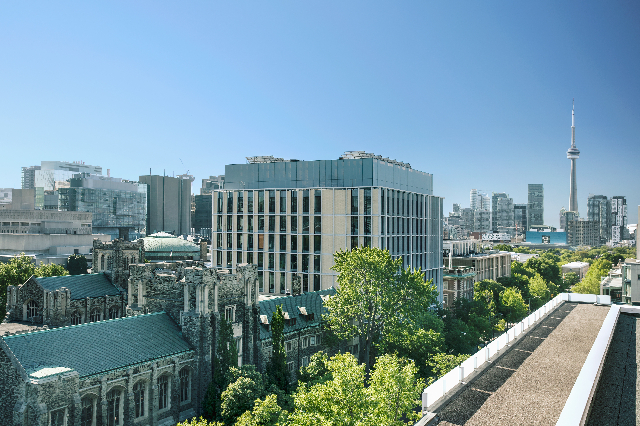 In response, Toronto’s Montgomery Sisam Architects and U.K.-based Feilden Clegg Bradley Studios designed a nine-storey, 160,000-sq.-ft. facility that welcomed its first class in September 2018, setting a new standard for a Faculty which is known as the number one ranked engineering school in Canada and among the best in the entire world. 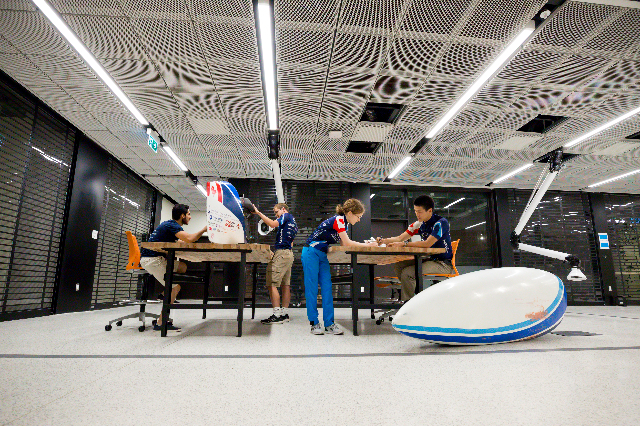 The Myhal Centre for Engineering, Innovation, and Entrepreneurship — named after donors and innovation advocates Rayla and George Myhal — was designed according to the priorities of function, collaboration and energy efficiency. 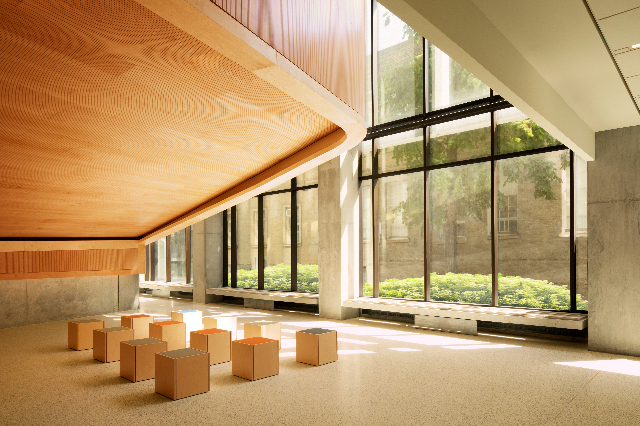 In addition to a grand, four-storey atrium and open-air terrace, the exposed concrete and abundant wood facility contains a slew of tech-enhanced spaces: eight design studios, five active-learning classrooms and a two-storey aerial robotics laboratory. 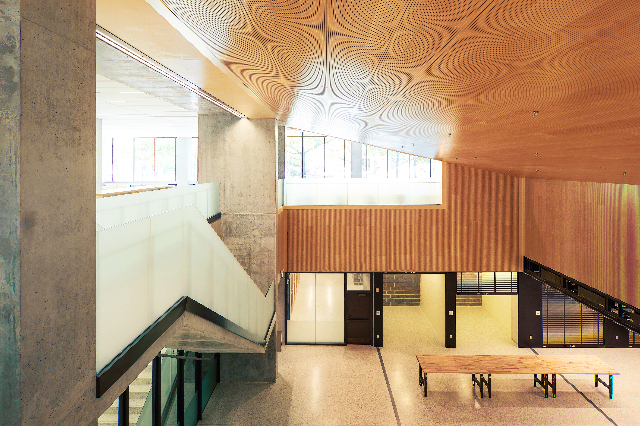 Though the building is the 14th in the University’s engineering precinct, it is among the most energy-efficient on the downtown campus; and while LEED Certification was initially considered, the design team opted for Tier 2 Toronto Green Standard Performance Measures and energy savings instead. 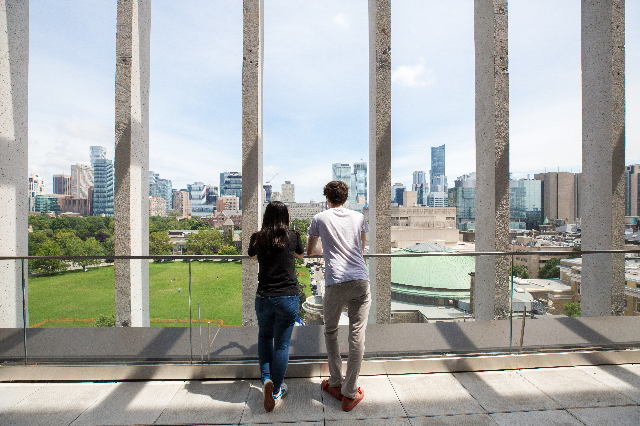 From a 80-kW photovoltaic roof system to solar panels, cisterns for rainwater irrigation, LED lighting, a high-performance building envelope, passive heating and cooling systems, and more, the building measures in at 25 per cent efficiency improvement over the Ontario Building Code, with a first-year cost savings of nearly $10,000: an impressive feat for a building of its size with a hyper focus on high-tech upgrades. 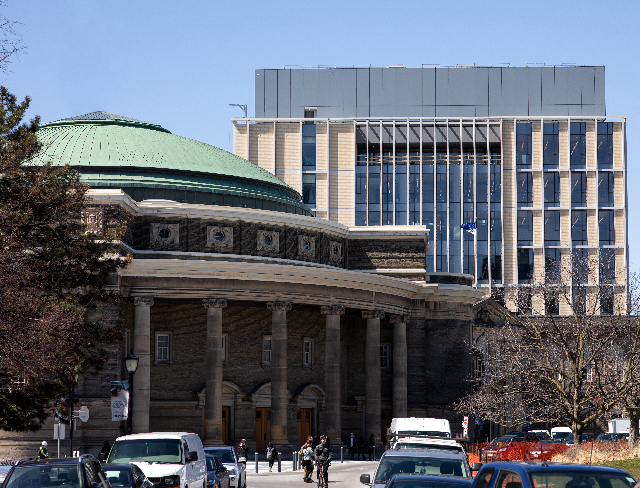 The Myhal Centre rises above the University’s iconic Convocation Hall. 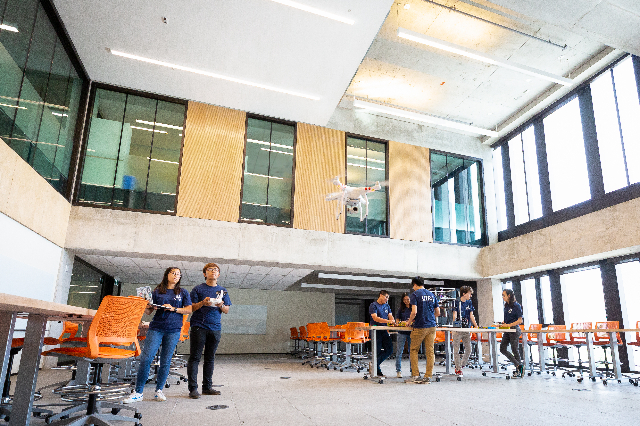 Through its understated architecture, impressive tech features and progressive energy-efficiency, the new Myhal Centre leads by example for the aspiring engineers and inspiring faculty who will utilize its resources for years to come.